After the first 29 riders of the 57 starters in the CSI5* 1.50m speed class there was not a single clear inside the time. Then, with the watching crowd hoping for a change of trend, three came back to back. The first was greeted by cheers - produced by Leopold van Asten on the 11-year-old Chaco-Blue mare VDL Groep Miss Untouchable, swiftly followed by classy, clean rounds from both representatives of the Monaco Aces, Guery and Epaillard, both of whom hinted at what was to come when they finished in the top eight of the earlier class in the day. Despite strong efforts from Valkenswaard United’s Alberto Zorzi, Cannes Stars’ Jane Richard Philips, Berlin Eagles’ Christian Kukuk and St Tropez Pirates' Pieter Devos the 73-second time allowed proved influential, with all collecting a fault for their respective teams. 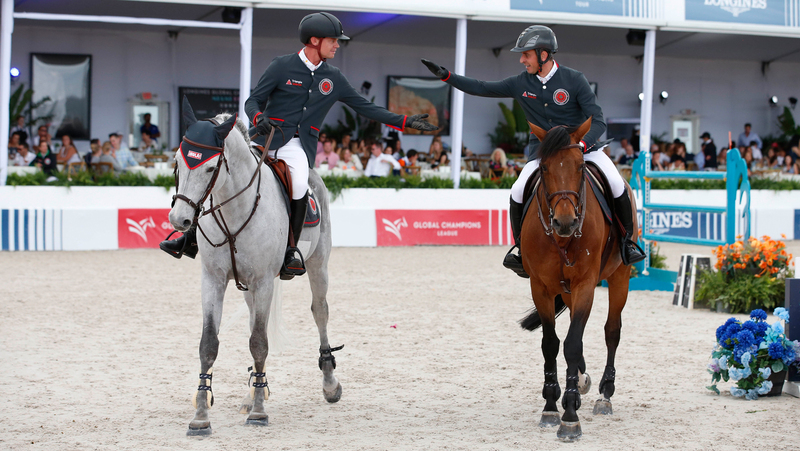 Last year’s winners the London Knights had a pole down each, with Ben Maher and Nicola Philippaerts teaming up for the first time to finish in 6th - both riders hungry to reclaim a podium position on Saturday.